One of the flavors that I associate most with warm days and tropical destinations is key lime. 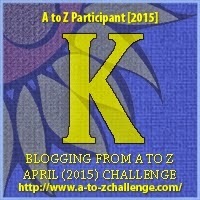 I love key lime pie, key lime dressings and key lime marinades. 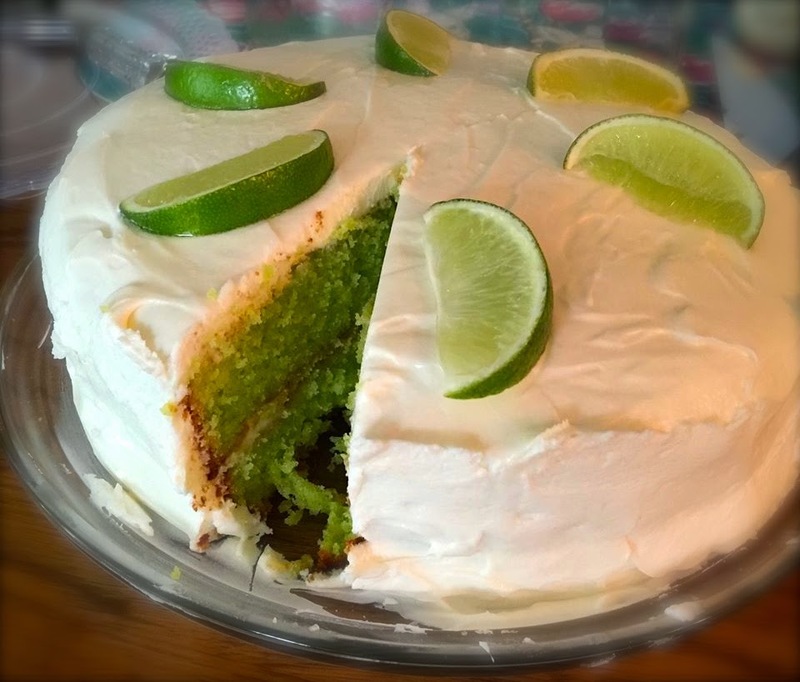 For Easter this year, I decided to bring out the flavor of key lime a bit early and make a key lime cake for our Easter dinner. 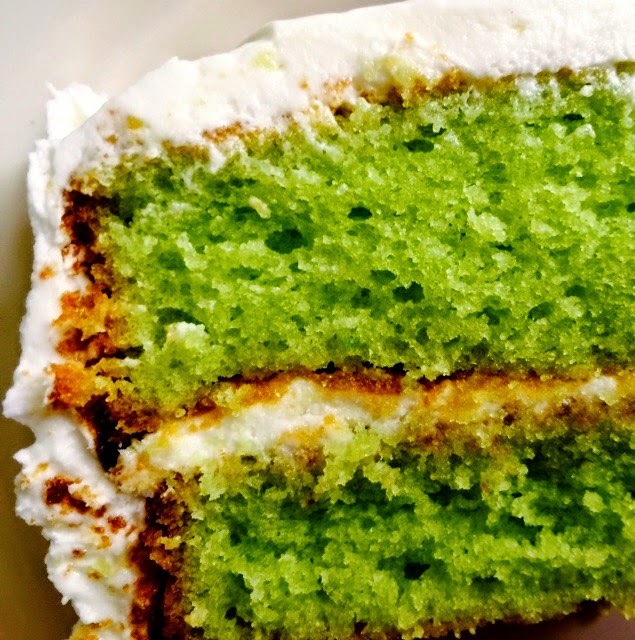 Actually, the only key lime in this cake is in the icing. The cake gets its lime flavor from lime jello combined with additional citrus flavor from lemon cake mix and orange juice. It all comes together to produce a delicious and easy to make cake. The bright green color was perfect for Easter. Those of you who have ever tried to get the juice out of a key lime know that it is almost impossible. To begin with key limes are tiny. Even if they were easy to juice, you still wouldn't get much out of them because of their size. But, to make juicing a key lime even more difficult, the tiny fruits are not soft and squishy. The darn things are hard! Juicing a key lime is not for the faint of heart or weak of muscle. Luckily, Nellie and Joe have taken care of that for us. Seriously, skip the key lime squeezing and pick up a bottle of Nellie and Joe's Famous Key West Lime Juice. You will be so glad you did and you will be enjoying this yummy key lime cake a whole lot sooner. You could also use fresh lime juice from regular limes and it would still be delicious, but it wouldn't be key lime. You can also decorate the frosted cake with some regular slice limes, if desired. Get Printable Recipe for Key Lime Cake HERE. I don't think I've tried key lime cake before. It does look delicious though. Try rolling the limes on the counter to soften them up a bit. I do the same with lemons...you get more juice out of them that way. Thanks for sharing. That looks like a really great cake. Love the intense color. I will try it. I've never had a key lime cake. Key lime pie? Yes. But not cake. Looks like a winner though. Looks like a good cake. Not very good for the hips though. Oh my that looks fantastic!